Something strange occurs in our house around this time of the year. Although I rarely turn our TV on in the daytime, this state of affairs rapidly changes once the cricket season begins. Yes, I love watching our Aussie cricketers—especially when they’re winning! It is exhilarating to see them piling on those runs as they scamper from one end of the pitch to the other. And it is equally exhilarating to watch them bowl out their opponents and send them packing. But I have discovered something else strange about my behaviour at this time of the year. Even when I choose not to be near our TV, I still turn that cricket coverage on. There is something relaxing about hearing those commentators in the distance from wherever I am in the house. It makes me feel as if summer has truly arrived—and that I can relax for a while and enjoy the moment. Yet there’s more to it than that. Somehow, that cricket commentary in the background acts as a trigger, resurrecting so many childhood memories. In a moment, I am back there in our old home in Brisbane, playing with my sister or reading, while the sound of the cricket blares out from my father’s radio in another part of the house. At that point in my life, I was not interested in cricket at all. In fact, the sound of it no doubt annoyed my sister and me. Yet now I enjoy that cricket commentary not only for its own sake but also because it evokes such pleasant memories of my father and of those lazy, carefree, summer days of my childhood. I wonder these days whether I sometimes treat God in the same way I treat that cricket commentary on our TV. How often am I content to relegate God’s voice to the background of my consciousness, enjoying knowing God is there but being too preoccupied with other things to stop and truly listen to what God is saying to me? How often do I read those wonderful passages of Scripture yet fail to pay full attention to them? Do they merely evoke pleasant memories for me at times of God’s past blessings in my life yet fail to touch my spirit as they need to right now? If I truly want to find out what is happening in those cricket matches, it is not enough just to enjoy the vague sound of that commentary from my study or while preparing a meal in our kitchen. Even if I am already in the lounge room but reading at the same time, I need to put my book aside and focus on what is happening on that TV screen. How much more then do I need to give God my full attention right here and now? How much more important are those words of encouragement and comfort and challenge from God than any cricket commentary? May 2015 be a year when you and I choose to tune in to God’s voice, listen to and learn from our loving Saviour, live the way God wants us to live and do the things we are being called to do. Everywhere I have gone in Sydney this past week, there seems to have been a subdued feeling in the air. The Christmas hustle and bustle continues, yet people seem just that little bit more solemn, that little bit quieter and sadder in the midst of this season of joy. When chatting with others, it is not long before the conversation turns to the recent terrible event that occurred in our city. But there have been other events as well these past weeks and months that have left us shocked and saddened. The killing of seven children in one family, along with another child. The heartless murder of well over a hundred Pakistani children and teachers. People’s lives being extinguished in horrific car accidents. The death of a promising young cricketer in the middle of a game. Further back still, the loss of many passengers on an aircraft that has yet to be found. The shooting down of another plane over the Ukraine. Beheadings in the Middle East. The list could go on. Underneath it all, however, I think there is a yearning for a peace and security this world cannot give—even our own ‘lucky country’—and a yearning for comfort and security, in the wake of such disasters. Many would struggle to verbalise this. Others would refuse to acknowledge it. But I believe it is true all the same. We are all in need of rescuing and of the comfort and security this brings. At the moment, our youngest granddaughter is at the age where she tries to haul herself up onto various pieces of furniture around the house. Consequently, she often tumbles over, sometimes hurting herself. How comforting those loving arms of Mum or Dad or grandparents are to her at that point. How readily she nestles her head on my shoulder in these moments so I can feel those heart-wrenching sobs begin to lessen in her little body. In the same way, we too need to look to the only one who can truly rescue us and provide the comfort and security our hearts crave—Jesus Christ, the Saviour of the world. Let’s welcome our Saviour fully into our needy world and our needy hearts this Christmas. And let’s pray for that peace that passes understanding to comfort all who mourn in this season of joy. Over the past few years, I have had many interesting experiences speaking at all sorts of places. As I head out to these events, I sometimes wonder what lies ahead. Often, I have never met the person who has invited me to speak, since arrangements have been made only by phone or email. If it is a large venue, will I be able to find this person easily? I comfort myself with the thought that I look pretty obvious turning up with a couple of boxes of books to display. Surely that makes me somewhat recognisable—even apart from that photo on my website. But I have learnt from experience to ask myself a few other questions as well. Will everything I need be there as promised? Will I be able to use my power point presentation with the equipment available or will I need to get my own from the car? Will I have time to attend to this, as well as set up my book display? And will too many people come and chat to me beforehand so that I can’t think what I need to do? Having sorted all this out, will there be enough time left in their program for me to share all of my input? Or am I just there to fill in that ‘speaker’ space they know they have to have? Will people be interested in what I have to say? Will I be able to ignore the one or two who might fall asleep and instead focus on those lovely people who are smiling back at me? No wonder I’m glad I have a secret weapon at my disposal in all my ‘book adventures’! In fact, I would not want to undertake these at all without it. You see, I have a little email prayer team, consisting of nine women who pray for me as God enables whenever I head out to speak anywhere. With one brief email, I can let all nine women know at one and the same time all about my next exciting speaking adventure. I know not all of them might be able to pray for each particular event or exactly when I speak. In fact, all some can do is just pray as they receive my email and ask God to guide and watch over me when I do speak. But who would not want such prayer? Surely our God is big enough to hear whenever we pray and to sort it out? The longer I continue my speaking and writing journey, the more I am thankful for these women, some of whom have tracked with me for more than seven years now. I am so grateful for their ongoing faithful support in the midst of all the other demands on their time and energies. But how about you? Do you have those around you who will stand by you and pray God’s blessing on you as you face life’s challenges? Are there those you could ask to provide this secret weapon for you? Or could you even perhaps activate that secret weapon for someone else in the new year? I knew I had an excuse to feel a little exasperated. After all, the person I had just spoken to on the phone had changed the date for a particular speaking engagement twice already. Now here she was, asking yet again for some information I had already given her several times. I sighed, then later complained loudly about her to two members of my family. I duly turned up on the day and yes, everything worked out. The group of people I spoke to were very attentive and responded well. I was also welcomed warmly by the lady I had hitherto only spoken to by phone or emailed—and found her charming and interesting. Before I was introduced to speak, she gave me a personal thank you gift—her way of apologising for the inconvenience she had caused by changing the dates twice. I felt embarrassed but she insisted. Later, she wanted to purchase one of my novels. ‘Which one should I buy?’ she asked me in her beautiful, European accent. 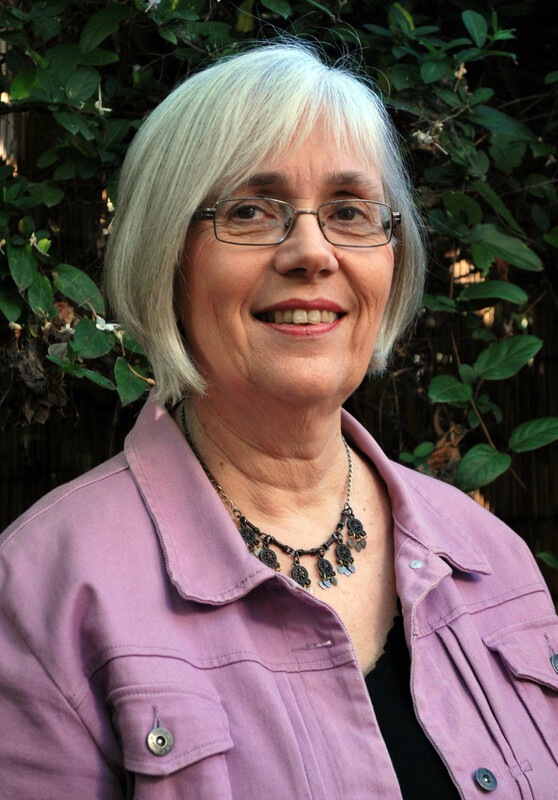 After discovering she was Hungarian and had travelled to Australia as a migrant via Czechoslovakia, I suggested one of my novels featuring a Czech migrant. Yet, even as I did, my embarrassment deepened. Did she really want to read it—or did she feel obliged to support me after messing up our arrangements? As we chatted further, she told me this was the first year she had volunteered to be the speaker coordinator for this particular group and how hard she had found it. My heart went out to her and I assured her truthfully I would rather speak myself any day than coordinate a whole year of other speakers. Now I felt completely humbled and rebuked. Unconditional generosity—when, in reality, I had felt so exasperated with her and had maligned her to others! If that was unconditional generosity, I’d hate to see meanspiritedness. What a lesson from God for my life from such an unexpected source. And what an insight into God’s unconditional generosity to me—that same unconditional generosity I needed to have in my heart for this lady rather than condemnation. How gracious God is, not only in the big scheme of things but also in those gentle messages we receive along life’s path that call us to live and respond in a better way and to show that same love and acceptance to others we have been shown! 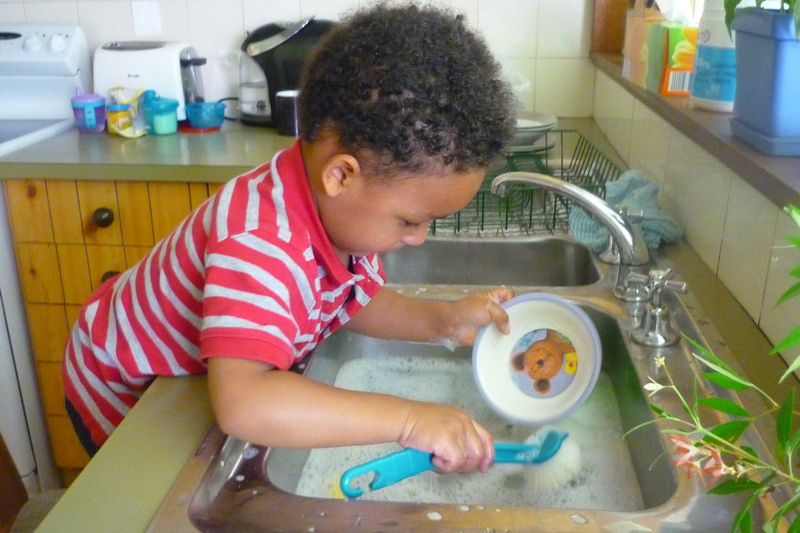 Our grandson discovered an exciting new pastime at Nanna’s and Granddad’s this week—washing up! He did it as if his life depended on it—he washed those plates and cups of his at least twenty times over. I could not help but smile when I saw his look of deep concentration as he went about the task at hand. Obviously, Zain felt quite important and was determined to do the best job he could. Afterwards, we read one of his favourite books, Noah and the Big Boat, together. When we had finished, Zain opened the book again, pointed to something on the page and nodded wisely. ‘That’s God!’ he said in a very definite tone. I looked and saw he meant Noah, depicted in this book as a man with white hair and a long, white beard. Not wanting to endorse a stereotype many people still seem to hold about God, I hastily corrected him. But our little man was not daunted. ‘That’s God!’ he said then, pointing to one of Noah’s son’s working on building the ark. When I again shook my head, he changed his mind and pointed to one of the women carrying water to the men. At that point, I realised I had failed big time in communicating who God is. I had blundered on, all the while assuming his little two-year-old mind would somehow understand what I meant. But no—the concept seemed beyond him. Even as the words left my mouth, I sensed how inadequate they were. There was no opportunity to continue the conversation, however—our Zain had run off to the latest thing that had captured his attention. All I could do was try to be a little clearer about who God is next time we read the book. Noah was a righteous man, blameless among the people of his time, and he walked with God. In the midst of the corrupt world around him, Noah stayed true to God and ‘found favour in the eyes of the Lord’ (Genesis 6:8). Even though Zain has a few misconceptions about God right now, I hope, when he grows up, that he exhibits the same zeal for the things of God as Noah did. I hope he gives his all to follow God’s ways, with the same wholeheartedness I saw in the way he tackled that washing up. Yes, that’s only a little thing and he’s only a little child right now. But as I looked at Zain at that kitchen sink, I caught a glimpse of God in him in his beautiful appearance as well as in the way he approached his task. And I also caught a glimpse of the man of God he could become—strong and determined for the Lord. May others see more and more of God in our Zain in the years ahead. May others see more and more of God in me as I seek to walk with God, just as Noah did.